Child Lures Prevention is proud to work in partnership with churches, synagogues, and other faith-based organizations throughout the world to provide safe environments for their children and families. Child Lures Prevention resources are universally accepted for safeguarding diverse cultural and religious populations. For over 20 years, we've had the distinct honor of working with many different faiths and denominations to help keep all God's children safe in our schools, our places of worship and our homes. Since 2005, Child Lures Prevention has worked in partnership with many Catholic Archdioceses and Dioceses to help them fulfill the obligations set forth in Article 9 and Article 12 of the Charter for the Protection of Children and Youth People, adopted by the United States Conference of Catholic Bishops in June, 2002. Since that time, the Catholic Church has equipped 4.4 million children across the United States with the skills to help protect themselves from sexual abuse. The Think First & Stay Safe School Program is being used in parochial schools and religious education classes across the United States to fulfill safe environment programming needs. Because child sexual abuse is a societal problem, and not a church problem, the program focuses on behaviors of all sexual offenders. A separate spiritual component compliments each lesson plan. The Program is easily adaptable to any format or time restraint. Many teachers follow the suggested presentation timelines provided in the Presenter's Instruction Guide. Some Directors of Religious Education opt to teach one Lesson Plan per week, which takes about 5-10 minutes; others present the entire Program annually in an extended or special weekend session of approximately 1-2 hours. 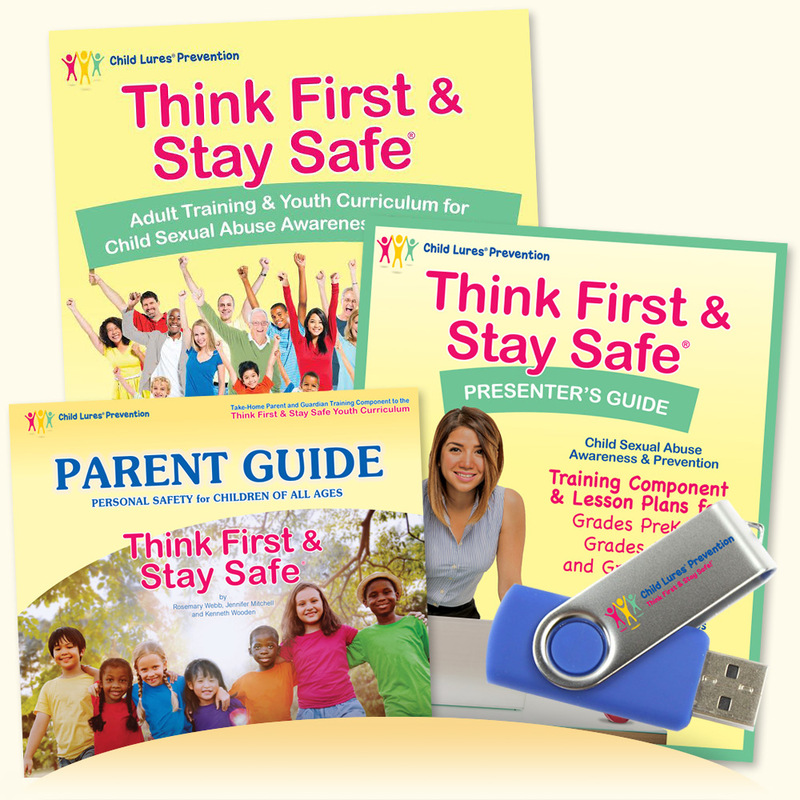 "The Think First & Stay Safe Youth Curriculum is a perfect follow up to VIRTUS® adult training. We tell the adults/parents that they can't do all the protecting. It is important to train kids to know how to stay safe too. ...and Child Lures Prevention's Think First & Stay Safe Youth Curriculum does that." At your request, we send the Program kit, at no charge. We encourage you to take as long as you need to review the Program, because we realize the review process can be quite lengthy. We provide a list of Diocesan References you may contact for references. We are readily available to answer any questions that may arise during your review. To arrange a free preview of the Think First & Stay Safe™ School Program, please e-mail us or call us at 1-800-552-2197. 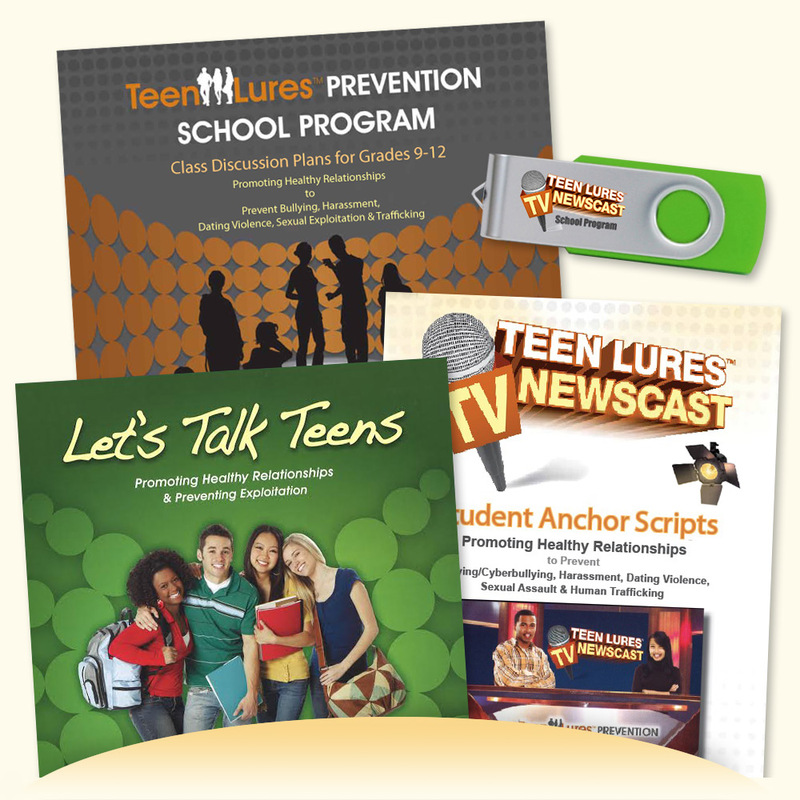 At your request, Teen Lures Prevention (TLP) sends the TV Newscast kit, at no charge. We encourage you to take as long as you need, because we realize the review process can be quite lengthy. TLP provides a list of Diocesan References you may contact for references. TLP is happy to provide additional information or materials, should you need them. TLP staff is readily available to answer any questions that may arise during your review. To arrange a free preview of the Teens Lures TV Newscast, please e-mail us or call us at 1-800-552-2197. "Outstanding Program! I teach for St. Dunstan's Roman Catholic Church, in the Archdiocese of Hartford, CT. The lesson plans are perfectly geared toward the age groups of the kids. They actually enjoy the sessions, and the parents always come up to me afterwards to comment on how great the program is. Thank you!" "I am getting GREAT feedback on the Think First & Stay Safe Youth Curriculum as it is being unfolded in our Catholic Schools. THANK YOU ALL so VERY MUCH!" "After learning the Think First & Stay Safe Lesson Plan 'All Secrets Can Be Told,' a very brave 11-year-old girl came forward to disclose ongoing abuse. Her 15-year-old sister followed. Both girls credited their disclosures to learning the Think First & Stay Safe program. Law enforcement subsequently visited the parish to review the curriculum - praising the program and the caring educators within the Archdiocese of Hartford. As a result, 75-yr-old family acquaintance Kenneth Baker was arrested for abusing both girls, and is now behind bars." "The Child Lures Prevention Program (Think First & Stay Safe) is a good complement to the VIRTUS® program. We also like the Child Lures Prevention Program because it is flexible; we use it in both the parochial schools and the religious education programs." "The Think First & Stay Safe Youth Curriculum enables the entire school or parish to be educated in prevention and safe environment with one flexible program. The Lures approach enables children to recognize behaviors that can place them at risk, rather than to rely on feelings, which may vary from child to child." We welcome religious organizations to preview Child Lures Prevention educational materials for 30-60 days with no obligation to buy. Contact us today for more references and more information.